When you’re new to SEO, a lot of times, you don’t have the actual time to go through training, or spend oodles of time. You need quick information, or a direction. The serious SEO learning usually comes time, since you’re trying to launch a website. Here’s some really basic SEO tips to get your feet wet, and give you an idea of where to start. 1 You need to make sure your website tells people who you are, what you’re offering, and why you matter? This isn’t just something for your visitors, but also for Google. If you want your website indexed in the right search results, with the keywords you’ve been aiming for, you need to make sure your website is doing that. As for your visitors, if you can’t answer these questions, they’ll probably be confused and leave your website. 2 Create enticing titles that include your keyword or keywords. Creating enticing titles can be difficult, but just like a book on a shelf, people look at the title and the cover, so make that title count, because people are definitely looking at that in the search results. 3 Create enticing meta descriptions. In the search engine results, both your title and meta description are shown, so if you make those meta descriptions enticing, you could win over visitors. You can be clever and make a strong call to action that people just can’t resist. 4 Add your website and sitemap to Google Search Console. Don’t let Google take it’s time finding you. Google could find you, but might not crawl all your awesome content. Google’s like a dog that follows the links, so don’t wait for Google to sniff you out. Let Google know where to find you, and how you want your website to be indexed. Also, you can learn a lot more about optimizing your website because Google Search Console is a free tool. 5 Add your website to Google Analytics. You need to be able to track your traffic. Google Analytics is free. Also, if you wish to monetize your website with ads or do brand ambassadorship, Google Analytics is trusted by advertisers and companies. 6 Research keywords for your website. It can be fun to blog about anything and everything, but that doesn’t mean there will be a lot of people that will read it all. Try researching keywords to pin point what people are really interested in reading. 7 Add your site and sitemap to Bing. Bing may not be as big as Google search, but it’s important too. If you’re not utilizing Bing Webmaster Tools, you’re ignoring the fact that you’ve got people coming from that search engine. 8 Make sure your images are labeled properly. Labeling your images is important because it tells Google what that image is, and if it’s relevant to the content on the page that it’s been added to. At the version least, label the ALT tag. 9 Keep your website updated regularly by blogging. Your blog can keep bringing back the search engine crawlers, as well as visitors. By not updating your blog, you are allowing you site to get stagnant enough that other websites might be listed better just because of inactivity, and the fact that the ranking post may have up-to-date information. 10 Enable or add Open Graph to your website. Whether it’s a plugin or module, or you have to add code, enabling this will help with your content being seen properly on social network websites. This is not a regular search engine optimization tip, but involves social search. With so many people using sites like Facebook and Twitter, having a leg up by enabling or adding Open Graph features to your website will give your visitors a delightful preview on those social networks before they surf over to read your article. 11 Set your websites URL structure to allow you to include your keywords. Keep your URLs shorter or at least easy to remember. 12 Remember to link to other content in your website. You can keep pumping out content, but eventually you’ll produce enough articles to be able to link in between. This allows search engines to crawl your site better, since they follow the links. In not linking to your other content, you lose out on possibly attracting your website visitors to more areas of your website. 13 Have a simple, yet clear navigational structure. You don’t need a menu that includes all of the things. It’s ridiculous and unnecessary. Condense your menus. Navigations that have submenus that are excessively long, are just too much for site visitors to want to bother with. 14 Keep your blog categories tidy, and know the difference between categories and tags. Categories are terms that should be general terms. There shouldn’t be a lot. Tags are a broader string of words or a single word that can connect a series of posts. 15 Your site needs to load quickly. Ideally, Google (and your website visitors too) would like it if your site load as closely to one second. Don’t fret if yours doesn’t, but if it’s loading really slow, that’s a problem if you’re trying to attract website visitors. 16 Your site needs to be accessible to those who cannot view your website the same way as others do. People who can’t read well, or surf the Internet like the regular healthy Joe and Jane, need some assistance. Your cute design with really light colors and text won’t be seen by those who may be legally blind. If you’re web page has difficulties scrolling or navigating from one page to another, you’ll lose visitors. Accessibility really matters, because there are more people than you know that surf the web with physical issues and more. 17 Your website needs to be viewable in multiple types of device widths. Not everyone is surfing your website with the same type of device, or the same size. Make it easier by making your website more mobile responsive in multiple device widths. 18 Your website needs to be secure. If your website is infected, and it’s reported to Google, people will be warned to not visit your website. Most malware and hackings are very random, but you need to stay on top of your website’s security to ensure a safe browsing experience. The post is very helpful for the beginners as you included everything needed. Linking to the other content and enabling for social search can be done after getting started. Thanks for sharing! You’re venturing into more intermediate use, rather than basic… these are just to get you started, and what most beginners need before they get serious. 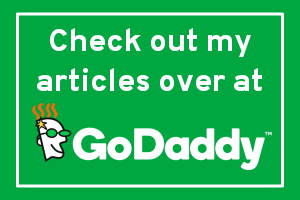 Is there really a trick to this, or is just delivering good content enough? Above all, delivering quality and unique content is a huge key. However, trying some of the other tips in this article can also help too. Great share. All these tips are basic ones but these are really important ones for bloggers to get good rankings. You are right that Updating content regularly and being consistent help in increasing traffic. Hello, Amar kumar these are the tips helpful for beginners for them to get more into it they need deep dig into SEO and digital marketing. I agree with Amar I have been working on most just unique content on my website and it has been paying off. I try to write a blog or two a week. I got allot of information from your post. Keep up the great work. This is something that the blogging community really needs to read and bookmark. I know so many bloggers how NEVER use SEO. Using key words for everything–titles, images, etc is oh so important. 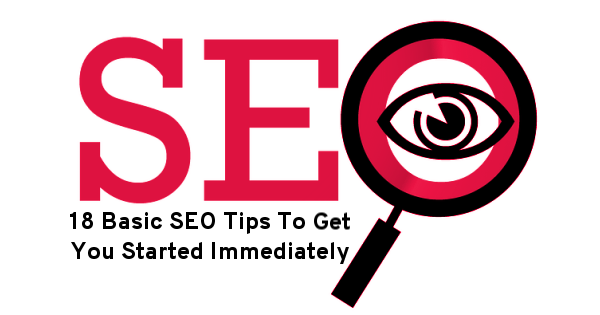 That is the absolute best way that I have strengthened my SEO. Can’t wait to put these other tips into practice. What a great article! I have been blogging for 4 years and I can never get enough of SEO training!! I think I walked away with some very important tips! These are very informative tips. SEO has a great impact to bloggers. Thank you for these tips. I struggle with finding the right SEO keywords to bring buying traffic to my site. I get some keyword searches from Google. Love all your tips! Lucky that hubby is a SEO expert! I booked marked this because there are a few things I didn’t know about that I need to work on. Thank you for writing this up! This is so helpful! I have always been a little intimidated by SEO. I am going to implement a few of these tips RIGHT NOW!! That’s some nice information in here. Plus, too many popups sometimes make your visitors vanish as well (newsletter sign ups, offers, etc.). It is better to show lesser popups than making your blog/ website look spammy. All these 18 points are very important for every site. your first point says that tells about your blog or website and your last point is about website security. So you cover all topic which is require for every website. Thanks for sharing valuable information in one article…. How do you think about blog comment on SEO? Is it useful right now for SEO? Blog comments, really don’t add for SEO value, unless there’s a great reply within the comments thread that has information that is lacking in the article. And still… for SEO, it’s not much like it use to be. Comments add to the engagement on the website. Amazing post and great list. These points are the backbone for any SEO Campaign, if any one is new in the SEO field, then these points are very much helpful and covers every single detail of SEO. Sometime these small small things play bigger role for an SEO campaign.